Conservative movies usually don't get the spot light over Hollywood. Most of the public are focusing on Brad Pitt and the Kardashians. Few politically motivated films are critically acclaimed, such as documentaries like Super Size Me, Sicko, anFahrenheit 9/11. These are top grossing films, the latter two by liberal-minded Michael Moore. 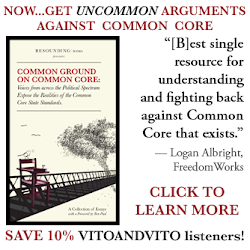 More conservative films like Mitt or The Day Money Became Worthless aren't as popular. Persecuted had potential to be brought into the mainstream of films. 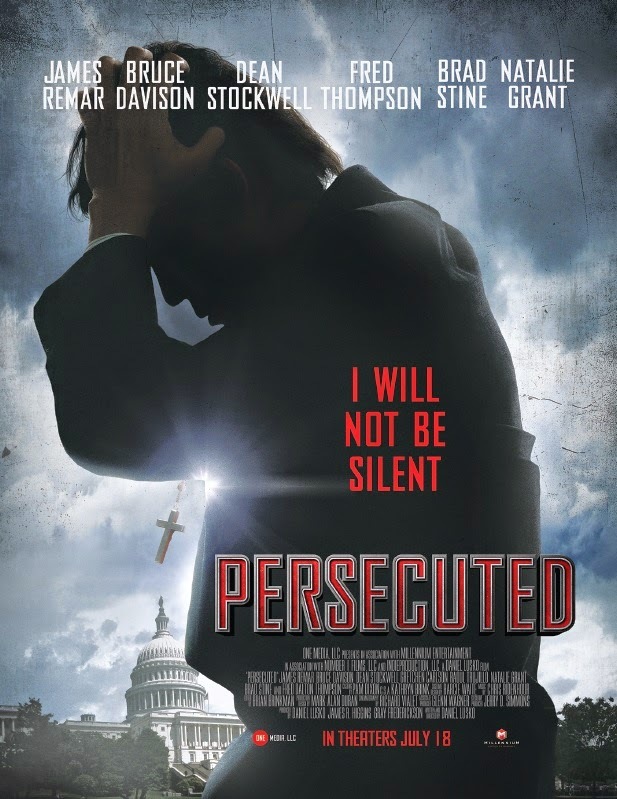 Not a documentary, Persecuted has an all-star cast, a Hollywood-thriller type plot along with a religious liberty message. Considered a conservative film, Persecuted was written and directed by Daniel Lusko. A popular evangelist, John Luther (James Remar) is framed for murder after he does not publicly support Senator Harrison's (Bruse Davison) religious reform bill. Former Senator Fred Thompson and Fox's Gretchen Carlson make appearances as well. Persecuted was fatally flawed. Evangelist John Luther did not support the "Faith and Fairness Act". Why did he not support the bill? What was in the bill that he did not agree with? He was framed for murder by the senator, who he appeared to be close with. Why and how were they close? A few important pieces of information is missing. A few connections are needed to clear up some confusion. Luther's good friend takes over his organization after Luther is on the run. He seems shady. We do not learn about Luther's organization until late in the film and do not understand the connection between Luther and his friend, and why his friend seems to back-stab him. At the very end of the film, Luther reveals that the organization is taking government money now. I assume that this is why he did not support the bill, because he did not want government involved in his religious organization. I feel that the portrayal of the United States in the film was too exaggerated for a broader audience. The Obama Administration passing ObamaCare definitely infringes on the First Amendment and attacks the religious freedom of American citizens. The corruption of the government in the film, I believe, does not represent the true American government. Yes, the government today is very corrupt. But, I do not believe senators are framing murders to pass bills. Nothing is being passed through Congress today anyway! It is also very interesting that is movie depicts Christian persecution in the United States, which seems far-fetched. But in some other countries today, like Iraq, Christians are being persecuted. For an independent film to make it big, it has to be innovative. The plot idea and twists are good for Hollywood, and grab the audience's attention. But Persecuted tried too hard to mix the thriller plot with the underlying religious freedom message. Films like Paranormal Activity became famous because it was filmed by point-of-view. A low-budget and new idea created a popular suspense-horror film. Persecuted definitely had potential, just missing a few pieces. I didn't like this movie at all. Confused the hell out of me! It was all over the place.